The current US President, as well as the most recent former President, were quick to congratulate Tiger Woods on his 15th Major Championship win. ‘Congratulations to @TigerWoods,’ – Donald Trump, who played a round of golf with Woods earlier this year and cheated, according to a new book. 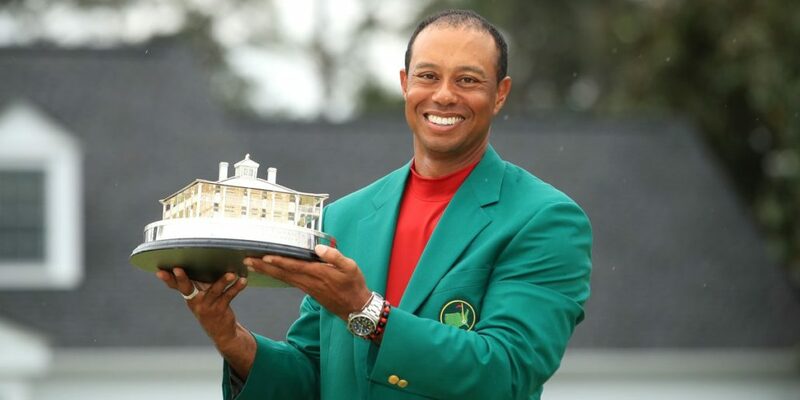 ‘A big BIG congratulations to @TigerWoods for winning the Masters!’ NBA icon Magic Johnson tweeted. ‘The roar of the Tiger is back! Congrats Tiger! What a performance,’ the New England Patriots’ six-time Super Bowl-winning quarterback, Tom Brady, said. ‘Greatest comeback story in sports! Congrats @TigerWoods. Let me hold one of those 5 jackets one time!’ said Steph Curry, a three-time NBA champion.